BBC Radio 2 and BBC Radio London Playlist for Jesse & Joy! 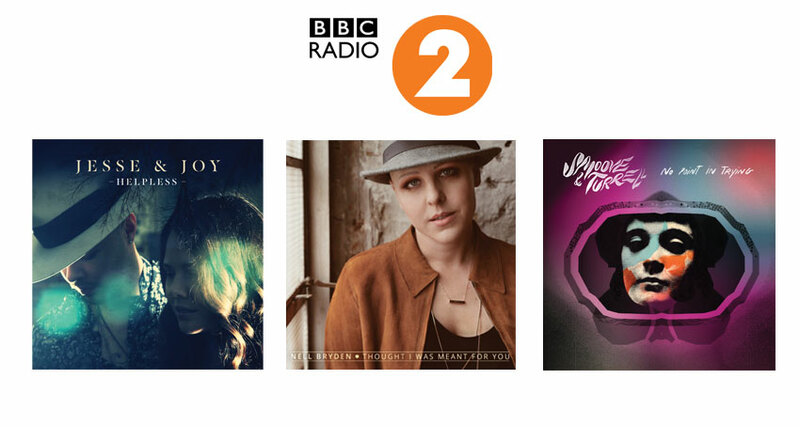 Jesse & Joy join Nell Bryden and Smoove & Turrell on the BBC Radio 2 Playlist with their latest single ‘Helpless’. Nell Bryden remains on the BBC Radio 2 B-List for another week with her new single ‘Thought I Was Meant For You’ taken from her new album Bloom released on 27th January. Smoove & Turrell stick on the C-List for another week with ‘No Point In Trying’!